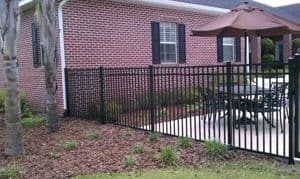 At Hardwick Fence LLC we have a variety of aluminum fence. 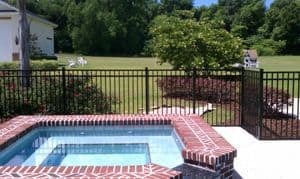 Aluminum’s low density and ability to resist corrosion, has caused it to become a popular choice as a lightweight, durable fence and railing solution for many applications. Height from 2 feet to 12 feet. Metal thickness from 5/8 inch to a full 1 inch. 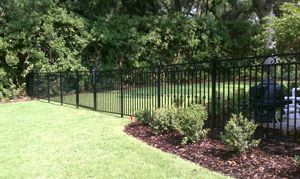 Aluminum fencing installation in several styles. Colors available in Black, Bronze, Green, White and custom colors. 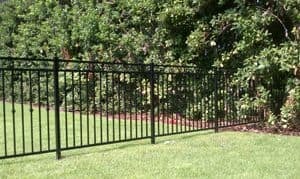 Straight or arched, pedestrian or driveway gates and a verity of caps and finials are also available to express your since of style. All of the above carries a limited lifetime warranty.